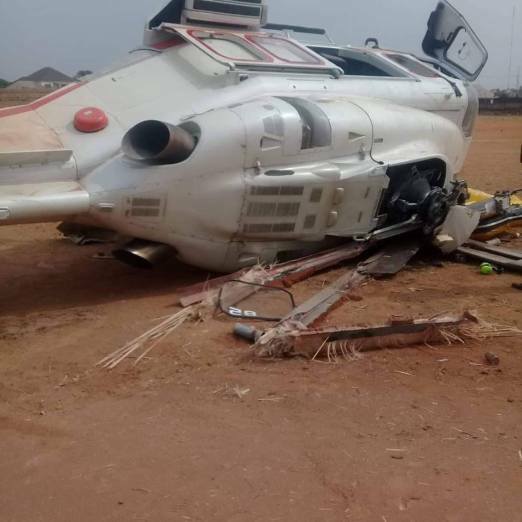 A chartered helicopter with vice president, Yemi Osinbajo, on board, has crashed at Kabba on Saturday. The Augusta AW139 helicopter is managed by Caverton Helicopters. Credible presidency source told DAILY NIGERIAN that the vice president, alongside his security detail, were on their way to Lokoja. Laolu Akande, spokesman for Mr Osinbajo, did not respond to our reporter’s phone call but later confirmed in a tweet that the vice president and the crew were unhurt.